There may be growing chorus of veggie cheerleaders, but don't assume most Americans are choosing salad over hamburgers. These days, it can be hard to ignore all the messages to eat less meat and more vegetables. Last year, the World Health Organization used its megaphone to publicize the link between cancer and excessive red meat consumption. Environmentalists push the message, too, by pointing to all the energy, water and land required for meat production. Some animal welfare advocates, like the Humane Society of the United States, are all for a plant-based diet. We also get cues from pop culture. Did you see this Vegans Gone Glam spread in The New York Times? Both Bittman and Beyonce are backing vegan meal-delivery services. And today, rock legend Peter Frampton — who stopped by NPR for a Tiny Desk concert — told us that he gave up red meat years ago. Famous chefs are in on it, too. Mario Batali has embraced the concept of Meatless Monday. Jose Andres has gone veggie-centric with his new chain Beefsteak. And one of the best burgers in New York has no meat. But does any of this really signal a nationwide rejection of meat? Back in 2012, as part of our Meat Week series, we teamed up with Truven Health Analytics to survey Americans about their changing habits. In that 2012 poll, 8.6 percent of the 3,000 Americans surveyed said that during a typical week, they ate no meat (defined as all meat products except poultry and fish). 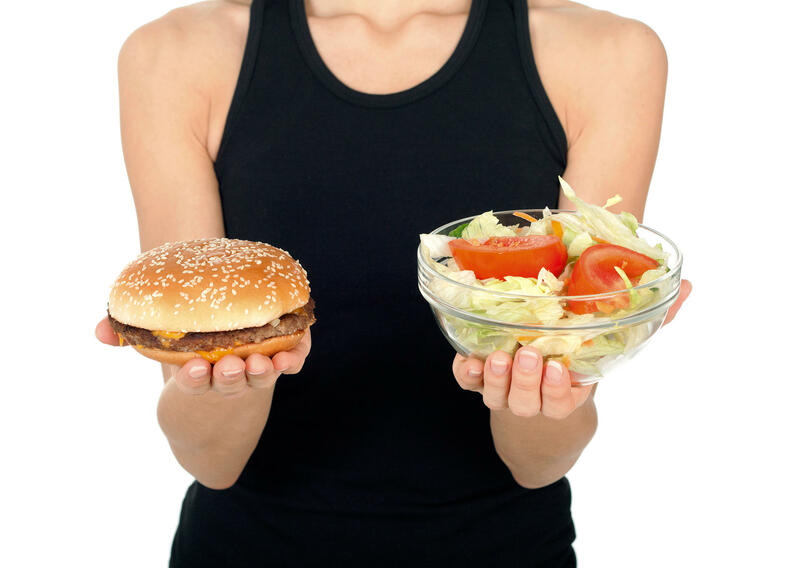 Some 56 percent ate meat one to four times a week, and 31 percent ate it five or more time a week. Interestingly, 39 percent of the respondents back then told us that they were eating less meat than they had three years before. Their reasons for cutting back? Concern about the health effects was the top reason, followed by the cost of meat. In December 2015, we wanted to find out what, if anything, had changed. So we asked Truven to poll another random selection of 3,000 Americans (via phone, cellphone and the Internet) and ask them the same questions. This time around, we tossed in one new question: Has the recent publicity linking processed meats to an increased risk of cancer caused you to change your eating habits? It turns out, about 30 percent of respondents said yes. But as we dug into the data, it seems the changes in habits are very subtle. This time around, 7.4 percent of respondents told us they eat no meat during a typical week — a slight decrease from 2012. Fifty-one percent said they eat meat one to four times a week, and 38 percent said they eat it five or more times a week. In a nutshell, Americans' meat-eating habits haven't shifted much. "There's no significant change in the number of times per week people eat meat in the last few years," Mike Taylor, chief medical officer for Truven, tells us. So, should we conclude that all the eat-less-meat messages are not influencing Americans' habits? Not so fast, says Roni Neff, director of the Food System Sustainability and Public Health program at the Center for a Livable Future at Johns Hopkins. As she looks at the polling data, she says the changes between 2012 and 2015 may be subtle, but there's a notable shift underway. "We are still seeing a lot of people saying they are eating less meat, and a lot who want to eat less meat," says Neff. Neff has her own study underway to measure meat consumption patterns and trends. She's also trying to gauge whether people are substituting vegetables for meat. "[These] poll numbers suggest a lot of people say they are are bumping up vegetables, and our results are fairly similar," says Neff. Taylor of Truven agrees that Americans may be trying to swap veggies for meat. "Nearly half [in the 2015 poll] are eating more vegetables, and age, income and education didn't make a difference," Taylor says. But Neff cautions that, no matter what kind of survey you use, it's pretty tricky to nail down Americans' changing dietary habits. For starters, our eating habits fluctuate. We tend to experiment with diets, then change our minds. Lots of us know someone who used to be a vegetarian, right? And it's not unheard of for people to swing from a vegan diet to a meat-centric paleo diet. It's also hard to unravel people's motivations or to understand what their assumptions are when they make changes. Bottom line: There may be a growing chorus of veggie cheerleaders, but don't assume everyone is influenced by them.